Your digital museography is just a few clicks away. Provide your visitors with all sorts of digital mediation contents thanks to Wivi. Add your own descriptions, visuals, audio, video and games through one single and simple tool. Wivi works in real time with any smartphone, tablet or desktop. No installation required! 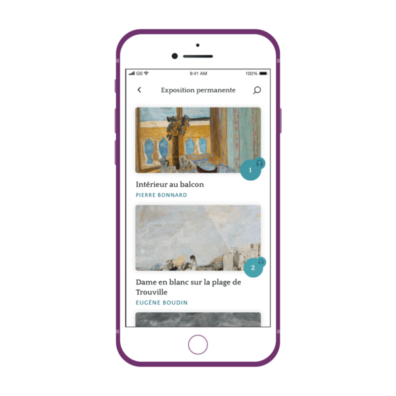 Wivi allows you to translate all your content and offer audioguides in any language, making your museum more accessible to all visitors. Wivi adapts to YOUR project! A large variety of museums are already equipped with Wivi. Our goal is to provide the best solution for your project! Tell us about your project and let’s work together on the best way to make it come to life.